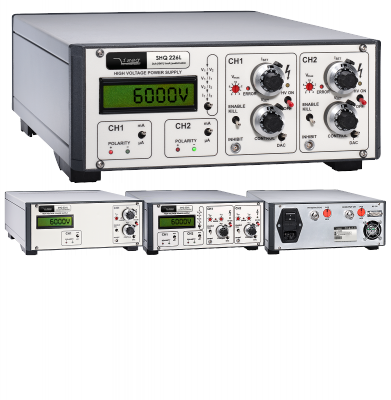 The SHQ series represents standalone High Precision labratory HV power supplies. 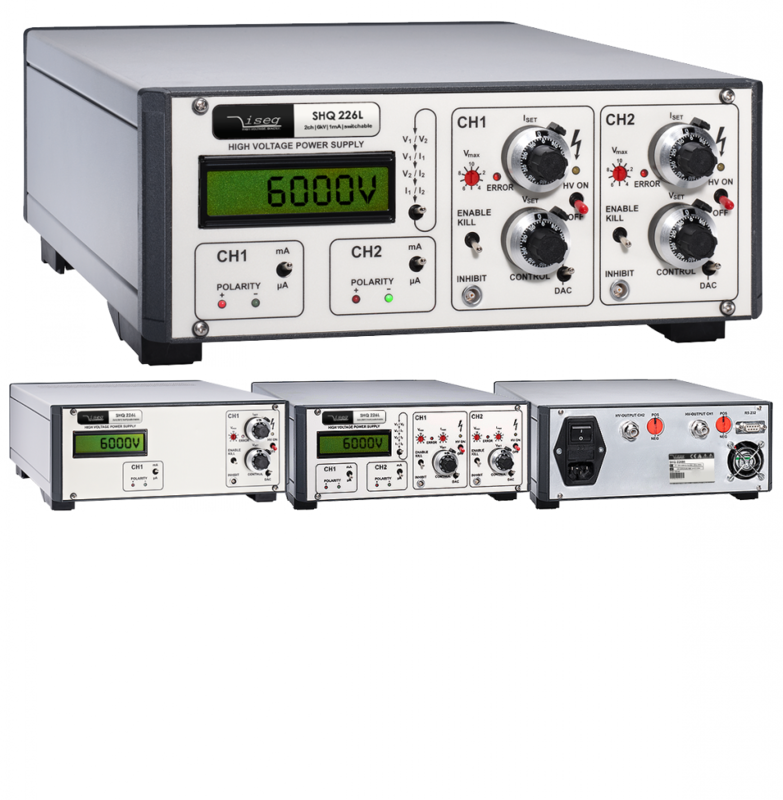 With two digital interface configurations CAN and RS232 the device can be controlled by a PC. In a CAN configuration several SHQ device can be controlled simultaniously or the SHQ can be integrated into experiments or industrial applications. 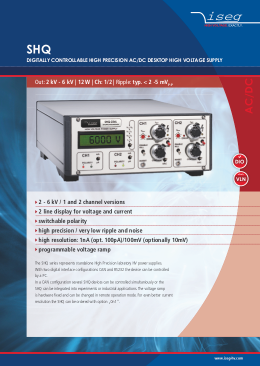 The voltage ramp is hardware fixed and can be changed in remote operation. For even better current resolution the SHQ can be ordered with option „0n1“.